Spencer picks-up a win and a save in these last two games. 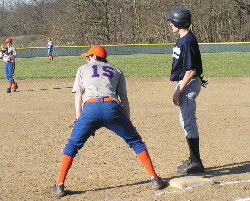 The Cougars picked-up two more victories to start the week as they thumped the visiting Flora Wolves 17-1 on Monday and escaped with 4-3 nailbiter at Patoka on Tuesday. Against the Wolves, the Cougars unleashed a barrage of early inning hits to go along with five walks and they lit up the scoreboard for 13 runs before Flora could catch their breath. Highlights of the two innings were 2 RBI doubles from Miles Yates and Spencer Patton, an RBI double from Nathan Lotz, and 2 RBI singles from Louis Daugherty, Nick Simmons, and Tyler Mulvany. In the fourth, Wade Crain added a 2 RBI double and Jayme Michel and Robert Slater added RBI singles to close out the scoring. 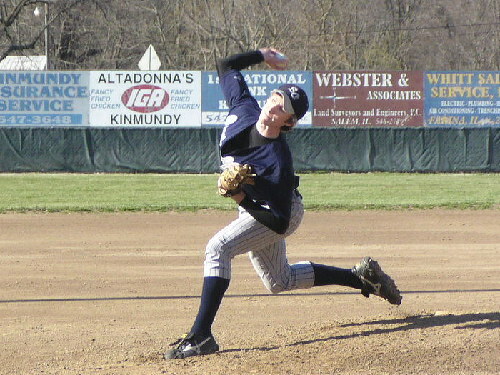 Patton notched his first win with four innings of work allowing no runs on 2 hits, 10 strikeouts, and 2 walks. On Tuesday, the Cougars held what seemingly was a comfortable 4-0 lead heading into the bottom of 7th, but the Warriors broke loose for 3 runs on the tiring Cougar starter Trey Garrett. 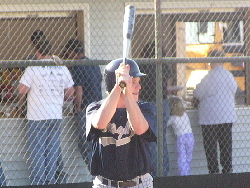 Patton then entered the game with the tying run on third and the winning run on first, and after a strikeout and a walk to load the bases, ended the game by striking out the final Patoka hitter. Garrett picked up his third win without a defeat on the year as he allowed only a pair of hits to go with 12 strikeouts and 4 walks. 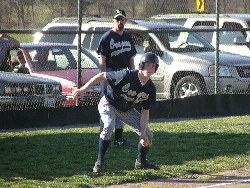 Offensively, the Cougars waited until the fourth inning to pick-up the game's first run. Patton laced a double down the line in right to lead things off and one out later, Lotz rifled a shot into the left-centerfield gap for an RBI double. 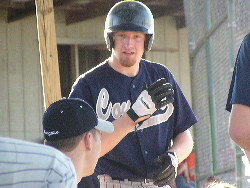 The Cougars tacked on the eventual game winning runs in the seventh when Mulvany led off with a single to right. Pinch-runner Chad King stole second and when the throw ended up in centerfield, he scampered on to third. Simmons followed with a long fly ball to left that was misplayed and King raced home with the first run. With Simmons now on second, pinch-hitter Wade Crain laid down a perfect sacrifice bunt and beat it out for an infield single. 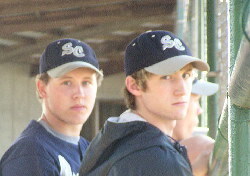 Yates followed with a sac fly to center, and after Crain swiped second and third, Patton followed with a sac fly of his own. The Cougars are back in action on Friday when they travel to Carlyle to battle the Indians at 4:30 P.M.